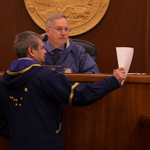 Juneau – Today, the Alaska Legislature unanimously passed a bill to allow emergency medical services (EMS) providers to recover additional costs for transporting Medicaid patients in Alaska. 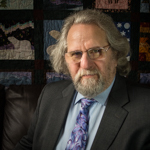 House Bill 176 makes a change in state law that will help EMS providers recover supplemental reimbursements from the Medicaid program, which currently serves over 200,000 Alaskans. Juneau – Today, the Alaska House of Representatives passed a bill sponsored by Representative David Guttenberg (D-Fairbanks) to define broadband internet in Alaska as a responsibility of the Regulatory Commission of Alaska (RCA). House Bill 384 does not enable the RCA to do anything that is currently preempted by the Federal Communications Commission. However, the bill would allow the RCA to collect information to more accurately map broadband internet coverage in Alaska. Juneau – Today, the Alaska Legislature unanimously passed legislation to increase patient rights in Alaska. House Bill 43, also known as the “Right to Try” bill, was sponsored by Representative Jason Grenn (I-Anchorage). It allows terminally ill patients who have exhausted all FDA-approved treatment options and do not qualify for clinical trials to gain faster access to safe but experimental drugs in an effort to save or extend their own lives. 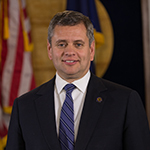 Juneau – Speaker of the House Rep. Bryce Edgmon (D-Dillingham) has issued the following statement to respond to recent media reports documenting an allegation of sexual harassment against Representative Justin Parish (D-Juneau). “Our caucus takes allegations of this nature very seriously. However, I wanted to provide some clarifying comments following yesterday’s report. Juneau – Today, the Alaska Legislature passed a resolution urging cooperation among state departments to protect the health of wild and domestic animals. House Concurrent Resolution 23 calls for increased data collection on diseases and foreign pathogens to better facilitate science-based management decisions. 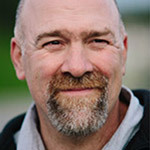 The resolution is a call to action for the Departments of Fish and Game, Natural Resources, and Environmental Conservation to cooperate on measures to prevent the spread of diseases and pathogens among Alaska’s wildlife and domestic animals.